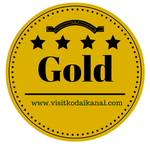 Kodaikanal offers good shopping opportunities. There are shops and stalls all over the town that sell homemade chocolate, spices, natural oils and tea. Refreshment is never far away. 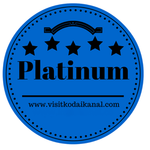 THE PRANA SPA - The Prana Spa is the best spa in Kodaikanal. Enjoy Massages, facials, scrubs, wraps & hydrotherapy at a discount if you have a Brooklyn Rewards Card. Call +91 9442035389 or Email thepranaspa@gmail.com to make an appointment. The Organic Store - was founded in 1983 with the goal of helping people lead healthier lives by offering the finest organic, GMO free and natural food. Their outstanding variety of organic jam, honey, coffee & vegetables coupled with superb customer service make shopping for organic food easy and secure. Call +91 9442035389 to order. THE CHEESE SHOP - It is owned and run by the famous Kodai Dairy Products, with over 30 years in the business and one of the pioneers of cheese making in India. Enjoy the best cheese that you can buy with a wide selection of cheddar, mozzarella, gouda, parmesan. Call +91 9994543837 to get directions on how to get there. Enjoy 10% discount here if you have a Brooklyn Rewards Card. THE MANNA CHOCOLATE FACTORY - For the most delicious home made chocolates in town go to the Manna Chocolate Factory. A Brooklyn Rewards Card can get you 10% on the chocolate here and also in the spices and essential oils shop that is next door. It is located on the way to the bus-stand near 7 roads junction. CAFE CARIAPPA - The best coffee shop in Kodaikanal with genuine organic coffee that is grown in Kodaikanal pesticide free and roasted and served with the latest cutting edge Italian barista equipment. Enjoy luscious carrot cake and dreamy tosca, and biscotti, delicous belgian waffles, sandwiches and more. Call +91 4542 241083 to get directions. It is located on PT Road. Book Store is located on PT Road. Call +91 9443928578 to get directions. 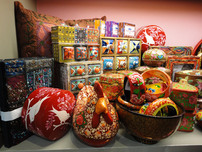 SUNSHINE ARTS - Sunshine Arts deals with Kashmiri jewelry, handicrafts and semi precious stones. This store is located on PT Road opposite Tava Restaurant. Enjoy 15% discount here if you have a Brooklyn Rewards Card. Try this health food store in the center of the city. There are not many stores like this in India and The Eco Nut has a great variety of cereal, nuts, dried fruits, herbs, teas and Ayurveda remedies. This shop sells stylish jewellery, t-shirts, cards and more at reasonable prices, made by and benefiting marginalised village women around Tamil Nadu. This shop sells hats, incense, embroidery and other goods crafted by disadvantaged groups, with about 80 % of the purchase price back to the makers. DREAMZ - Dreamz is the most comprehensive adventure and sports destination store in Kodaikanal, from warm fleece wear for everyday use and camping, rough terrain bikes, trekking shoes, golf, football and other sports equipment. Dreamz is located near Fairy Falls Road, Kodai.